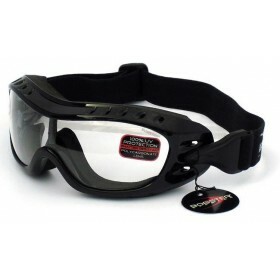 The Sport & Street 2 Bobster Motorcycle goggles have closed cell memory foam for a close fit to the face, comes with 3 easily changeable lenses and the arms can be replaced with a goggle strap. 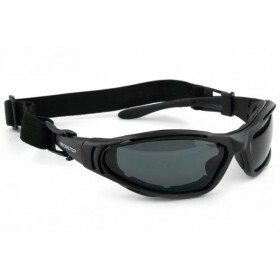 Ride smooth with this sleeker, more aerodynamic frame that converts from sunglass to goggle, adapting to essentially any environment or user requirements. For those with an active lifestyle, it features three sets of interchangeable lenses, each lined with closed cell memory foam to maximize comfort and increase durability.